In a three-hour-long observing epoch, we will reach a rms sensitivity of 10 microJy/beam. In the co-add of all 1000 hours of CHILES data, our continuum rms sensitivity will be 500 nanoJy/beam. 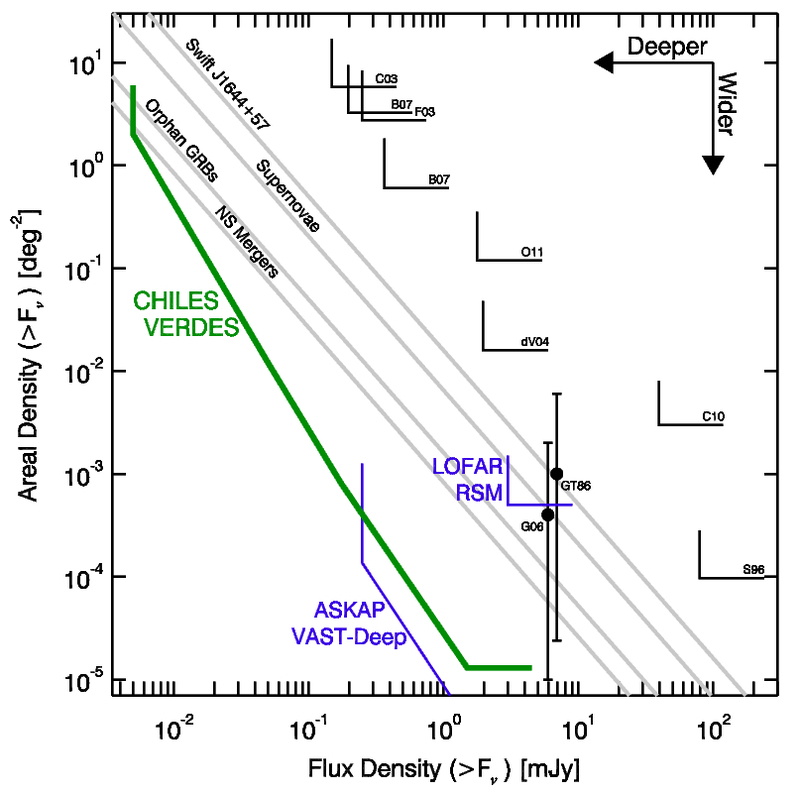 While the field of view of CHILES VERDES is relatively small (~30' in diameter), its many epochs and truly incomparable depth probe a whole new region of radio transient parameter space. Figure adapted from Frail et al. 2012.